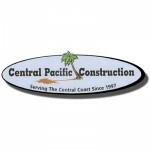 I offer concrete pumping services in San Luis Obispo, CA and the surrounding area. I specialize in pumping concrete slabs, concrete footings, and grouting block wall. If you’re looking for a pumper that shows up on time, has his concrete pump primed and ready to go before the concrete trucks arrive than I’m the guy to call. I have a reliable and strong concrete pump. It has ability to pump up to 50 yards per hour. It also can pump distances up to 400 feet away.